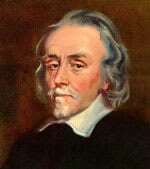 William Harvey (1578 – 1657) was an English Physician who made important discoveries in the circulation of blood within the human body. Harvey was born 1 April 1578 in Folkestone, Kent. His father was an influential local figure, serving as mayor of Folkestone in 1600. He studied at King’s School Cambridge, before travelling to Cambridge where he studied at Gonville and Caius College. After matriculating with a BA, he travelled to Europe and began studying at the University of Padua in Italy. In Padua, Harvey was deemed to be an excellent student. He studied under Hieronymus Fabricius who was a leading authority on anatomy and had created the first public theatre for anatomical dissections. At the same time that Harvey studied, Galileo was a tutor, and the two may have met. Harvey was influenced by the Scientific Renaissance ideas of Galileo and others. Returning from Italy, he obtained a degree of medicine from the University of Cambridge, before establishing himself in London as a member of the Royal College of Physicians. 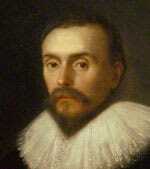 In 1604 he married Elizabeth Browne, daughter of Elizabeth I’s physician and this gave Harvey greater social prestige. The couple had no children. Harvey was given a senior position at St Bartholomew’s Hospital, London where he served for many years. Harvey became a prominent physician appointment to King James I in 1618. In addition to his duties as a physician, he was given a post to lecture on anatomy with the guidance to improve knowledge of the subject. Through his knowledge gained at University and subsequent anatomical dissections, Harvey observed that veins had one-way valves. This helped him to develop a theory of blood circulating through the body – with the heart as the main muscle. Harvey had already formulated this idea by 1616, though it took 20 years for him to publish Although we take this idea of blood circulation for granted, at the time it was a revolutionary idea and as Harvey expected – it met with significant resistance from members of his profession. 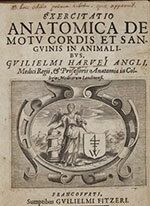 His theories and observations were eventually published in Frankfurt – in what proved to be his greatest work De Motu Cordis (1628) (On the circulation of the blood) This work connected the movements of the heart to the circulation of blood in the body. In particular, he showed how the pulsation of blood in the arteries is related to the contraction of the left and right ventricle in the heart. A later work of significance was (On Animal Generation), published in 1651. This was never fully finished, but it describes the theory that all life comes from sperm and an egg and dismissed the idea of spontaneous generation which existed at the time. As physician to the king, Harvey was also called to pass judgement on trials for witchcraft. At the time, there was a great moral panic about the practise of witchcraft and several women were arrested on charges of witchcraft with some condemned to death. In 1634, Harvey was a key witness in acquitting several women accused of witchcraft in Lancashire. He used scientific reason to investigate the cases, and this was influential in reducing the moral panic and fervour over witchcraft. After the death of James I, Harvey also became the physician to King Charles I. Harvey often performed dissections on animal carcasses from the King’s hunting trips. During the Civil War, Harvey served in the King’s army treating the wounded from The Battle of Edge Hill. With the King, he moved to Oxford, where he was able to devote more time to his medical pursuits. In 1645, he was appointed warden of Merton College. However, after the surrender of Royalist forces in 1645, Harvey retired from public life, returning to London and spending his time in reading literature. Harvey admitted that he was reluctant to try keep pushing new and unpopular ideas. He died in Roehampton, 3 June 1957 from a probable cerebral haemorrhage. Citation: Pettinger, Tejvan. 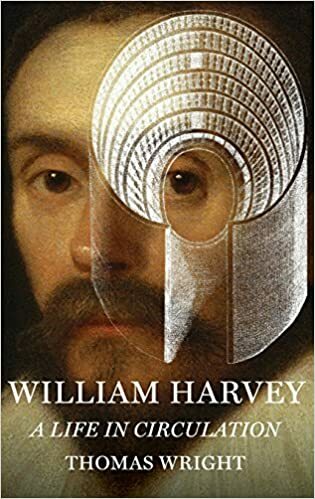 “Biography of William Harvey”, Oxford, UK. www.biographyonline.net, 8th September 2018.